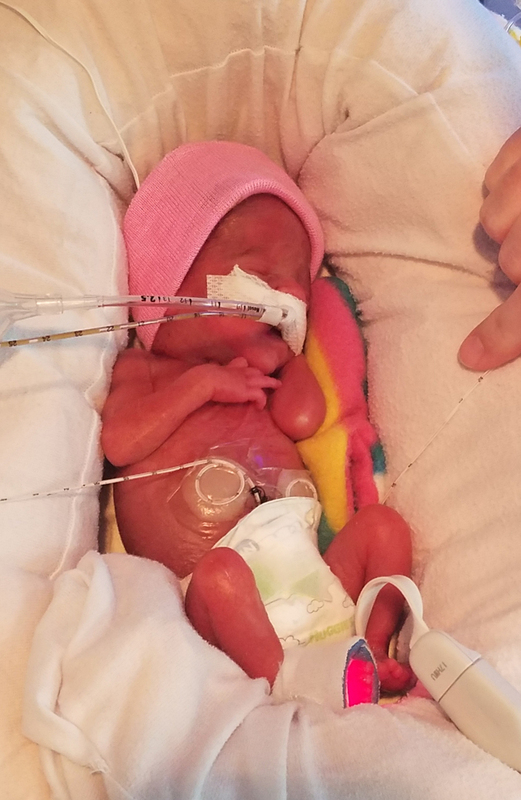 Evelyn Grace Schnulle, beloved daughter of Jake and Sara Schnulle, gained her angel wings on Saturday, April 6, 2019. She lived bravely and touched the hearts of everyone she met for her 23 days on Earth. She will be forever loved and missed by her mommy and daddy; her maternal grandparents, Peggy Baker and Jack and Barb Baker; her paternal grandparents, Amy and Mike Wilson and Phil and Charlene Schnulle; her great-grandparents, Lavonne Kerth, James and Shirley Baker, and Annette and Wayne Kleckner. Evelyn is also survived by her aunts and uncles: Russ and Kayla, Emily, Bryce, Jed, Liz and Josh, Eli, Amanda and Michael, Josh and Amy, and Mike and Susie, and many cousins. There will be a visitation Thursday, April 11, 2019 at Hamilton’s Funeral Home, 605 Lyon Street, Des Moines from 4:00 to 7:00 p.m. In remembrance of Evelyn, memorials may be made to her family.